It is rumored that during Prohibition the famously unkillable mobster Jack “Legs” Diamond maintained a hideout in the hills above the village of Tannersville. 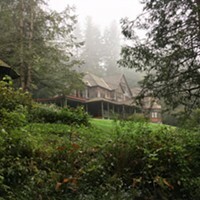 You’d never know it now from the current state of the property—a pert c.1891 Arts-and-Crafts house presiding over emerald lawns and sweeping valley vistas. It is the picture of tranquility. 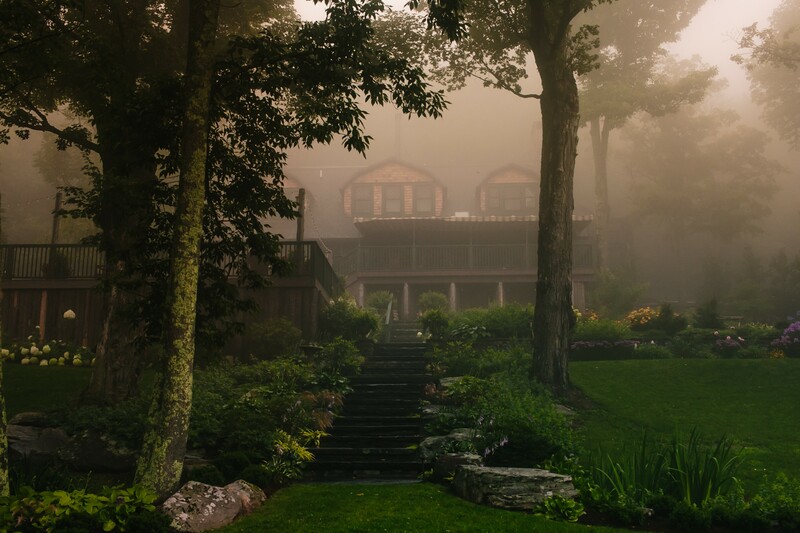 In between bootlegger’s hideout and its current incarnation as the boutique hotel Deer Mountain Inn, this Catskills property has at various times been a privately-owned summer retreat, a church-run camp for underprivileged children, an annex of the Toppesfield Manor, and a motor lodge. 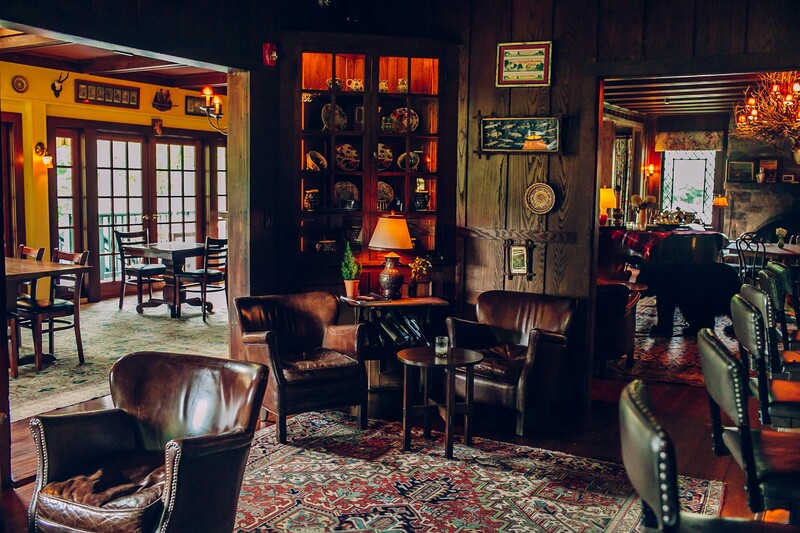 The rich, storied past of the place is woven into its fabric, from the architectural details made of American walnut harvested on the property to the antique lamps that illuminate the interior. “A blight knocked out this entire species of Northeastern walnut, making it completely impossible to accurately recreate the space. It’s unique down to the bones,” says DMI General Manager Brian Wagner. Since the property was purchased in 2013 by Charles and Deborah Royce it has experienced a quiet but total revival. 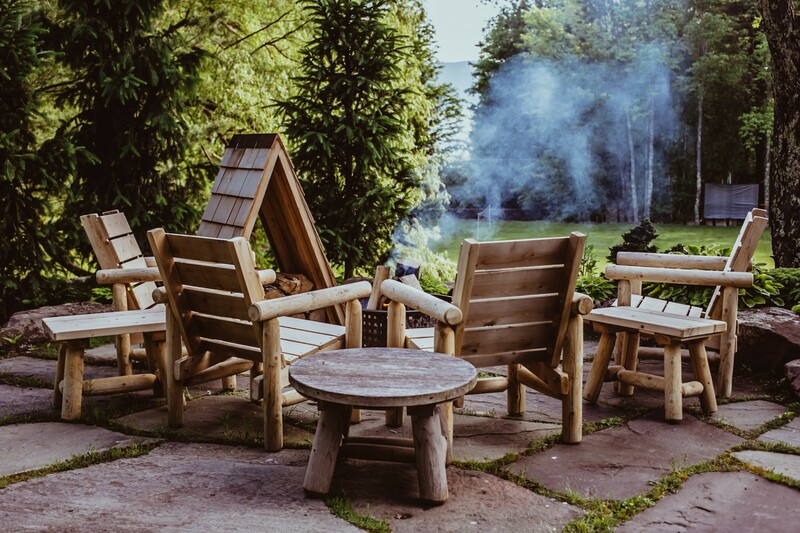 The main building, which houses six guest rooms, and the two additional cottages are fully booked nearly every weekend of the year by out-of-towners in search of a peaceful refuge, camaraderie, comfort, and life’s finer things. During the week, the property is quieter, and availability is easier to come by. Each suite, with its cozy nooks and dark wooden details, is named for a person of local significance. With quilted duvets, colorful rugs, antique furniture, and retro photographs on the walls, the rooms have an unstilted, old family house feel. The wood wainscotting adds a countryside warmth. Downstairs from the guest rooms, a sprawling dining room adjoins an intimate bar. 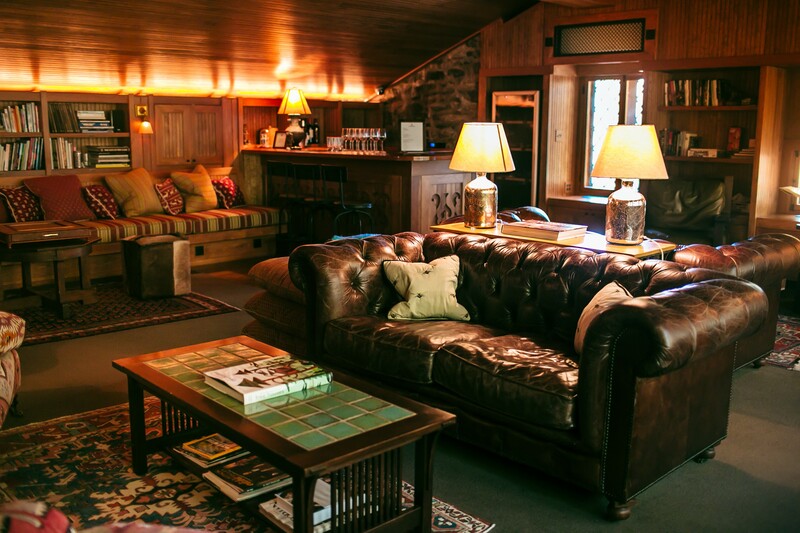 Leather couches occupy the corners, and the whole space is bookended by fireplaces, which roar all winter long, casting an amber glow. The restaurant at DMI, helmed by Michelin-starred chef Ryan Tate, is open Thursday through Sunday to both inn guests and the public. Wagner, who was recruited by managing partner Dan King in 2016, is a 20-year veteran of the New York City hospitality industry. He has an impressive CV, climbing the ranks from dishwasher to GM at places like The Bowery Hotel, The Jane Hotel, East Side Social Club, The Westway, Le Baron, and Soho Grand. 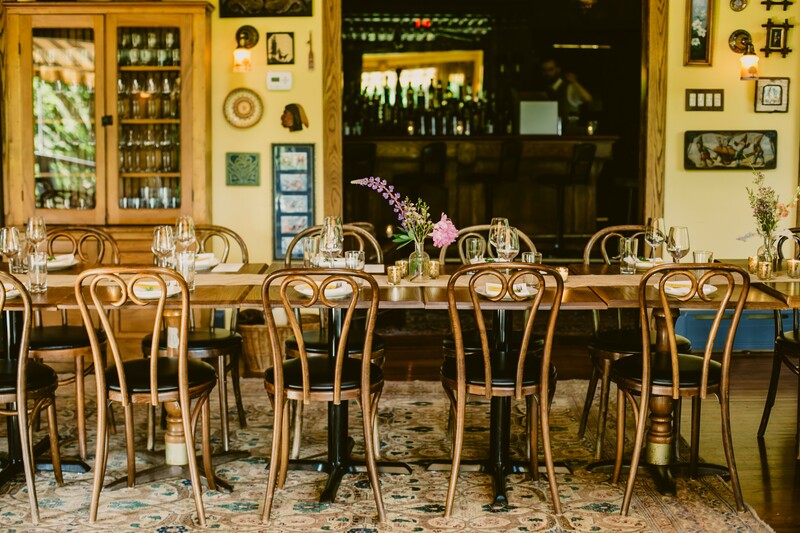 With Deer Mountain Inn, King and Wagner have set out to bring the level of hospitality cultivated in the city to a mountain setting. But their concept of hospitality runs deeper than just 1,000-thread-count linens and a 24-hour concierge desk. 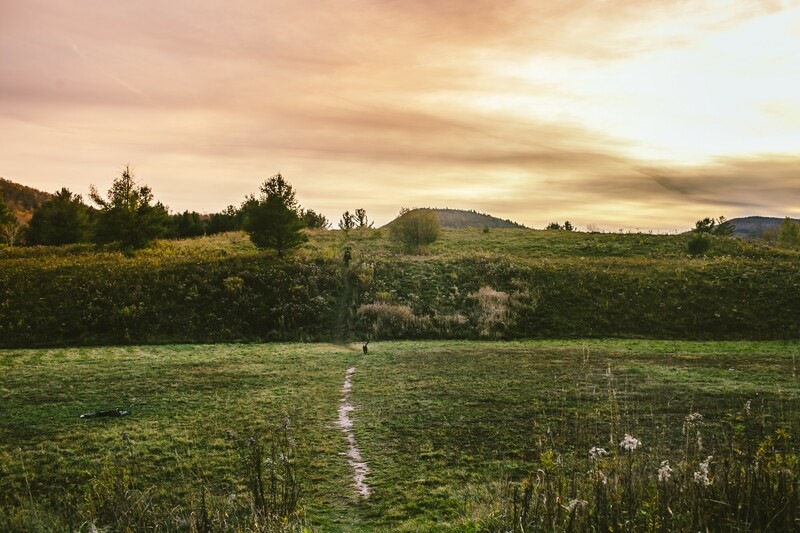 It goes to the heart of hosting—the creation of a space that is truly welcoming, friendly, relaxing, and soul-nourishing. The restaurant is managed by Bella Im, who came to DMI by way of Mission Chinese and before that Grand Army and Harlow. The beverage program is run by Artem Grishin, a trained sommelier formerly of Minetta Tavern and Soho Grand. The accommodations team includes fashion photographer Ernesto Roman in the role of creative director and social media manager; Emma Mead, an artist and photographer who has helped define the inn’s aesthetic and handles guest relations along with Brittany Ramos (Roberta’s, Calexico, Spotted Pig, The Commodore). In response to its mellow, affable vibe, DMI has attracted a faithful clientele of relaxed-yet-refined individuals, who might spend the afternoon building a snowman or wandering through the woods before coming in to converse with someone new over a glass of wine the fire. 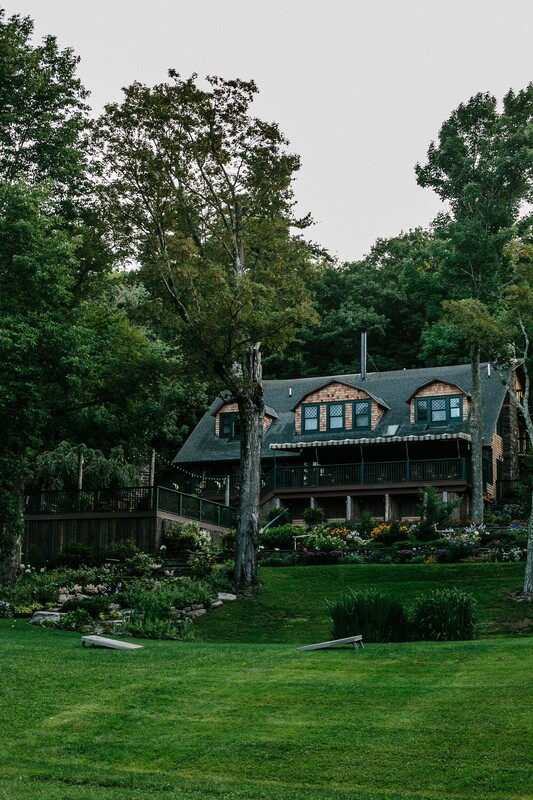 The inn, with its mountaintop vistas, gardens, trails, and wrap-around porches, makes an idyllic upstate wedding venue. DMI does fewer than a dozen weddings per year, many of which are booked by past guests at the inn. “We want the people that get married here to become part of our story and to let us be part of theirs,” Wagner says. Weddings at DMI require full-property rental and can accommodate up to 250-guest events, with beds for 30. Chef Tate brings his hyperlocal sensibility to menu curation to create spectacular, seasonal dishes. 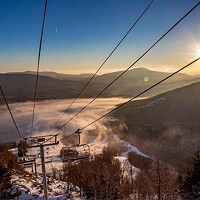 Stay up to date with Deer Mountain Inn on Instagram and Facebook. 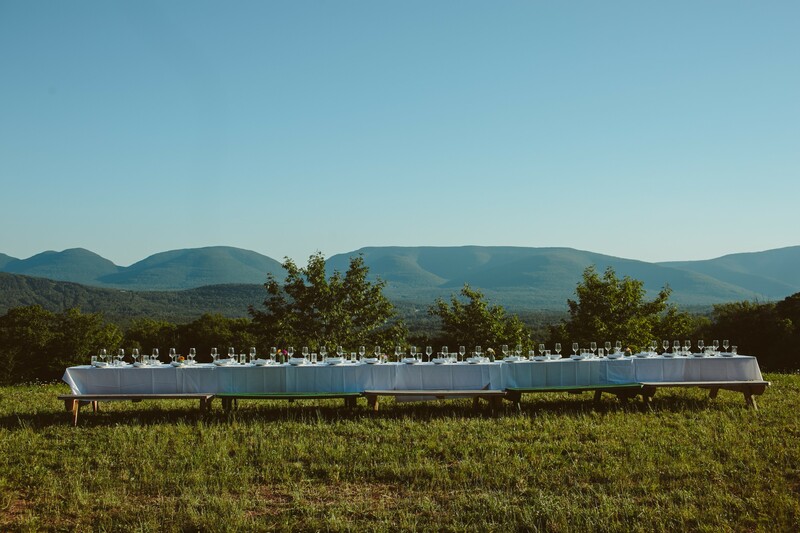 Check availability and book a room for your next weekend getaway, or for wedding and event inquiries email Events@DeerMountainInn.com.